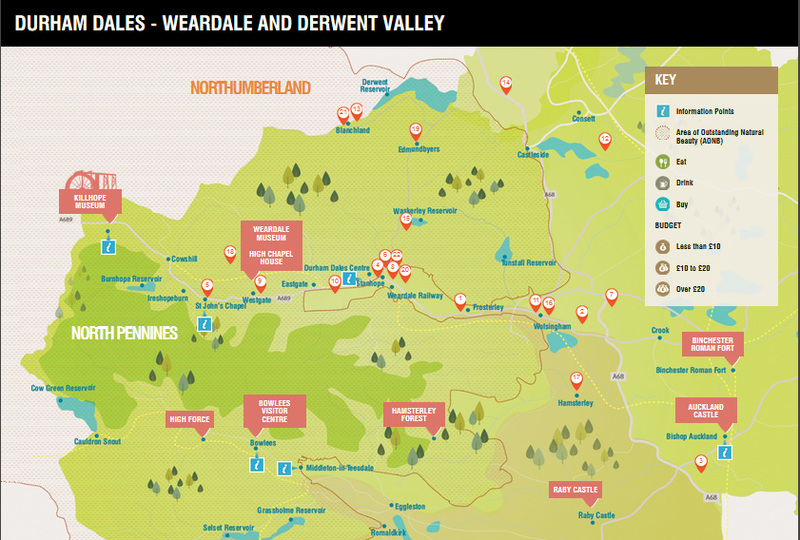 Get a real taste of Northumberland as you explore the county with these tasty new food trails. Farming has shaped the Northumberland landscape and the county is rich with some of the finest food and drink you could wish to taste. The Northumberland coast and countryside is home to a number of award-winning food and drink businesses and passionate local producers. From farm shops and micro-breweries, to restaurants that champion local produce and tearooms that take pride in their homemade fare, the Tasty Trails in the Northumberland coast and countryside are a great way to discover some delicious highlights and eat your way around the county. 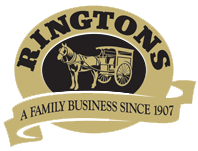 Click on the maps below to view your Tasty Trail, or download the trail using the links. 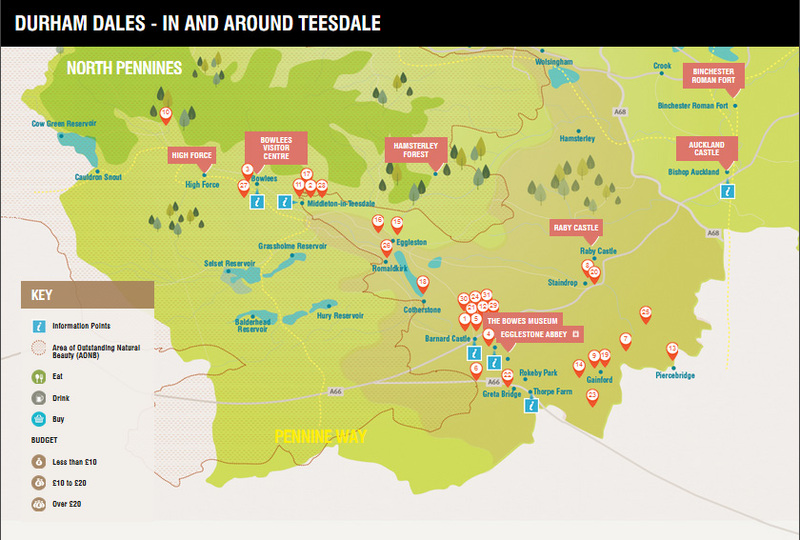 You’ll find even more opportunities to experience great food and drink on Northumberland’s doorstep with these new Durham Dales food trails. 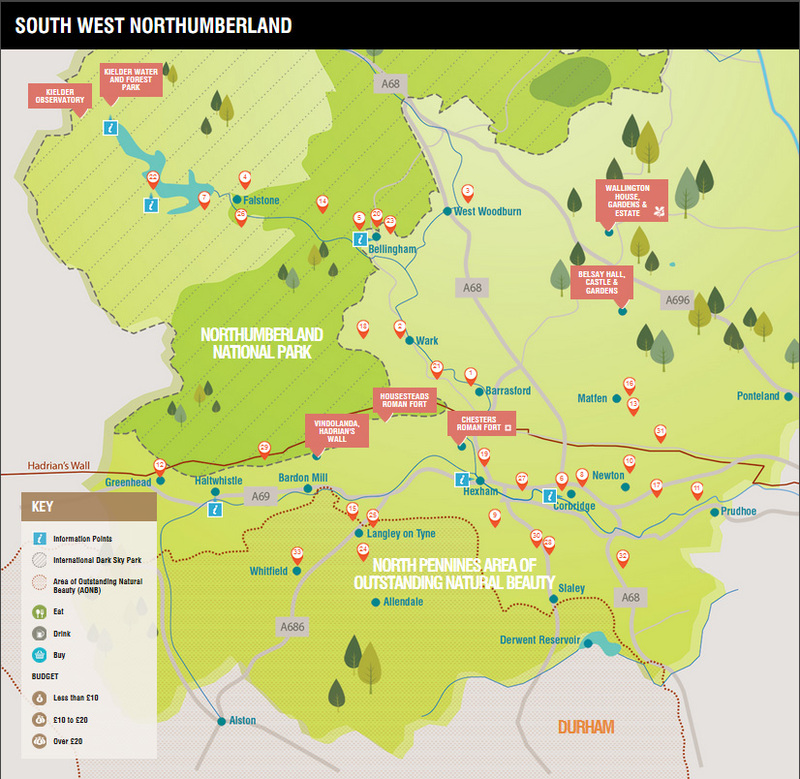 These food trails have been developed as part of the Northern Lands programme to develop tourism in the North East’s protected landscapes with the aim of attracting more visitors, encouraging then to stay longer and inspiring them to experience the uniqueness of the landscapes. 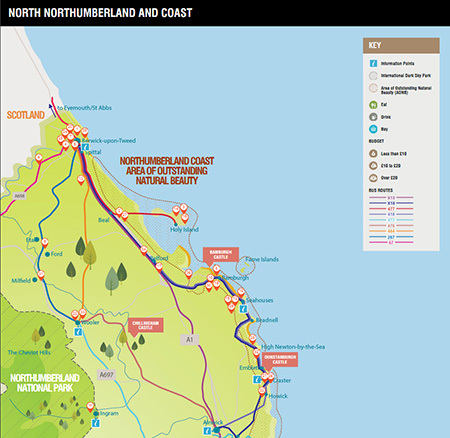 Northern Lands is a project led by Visit County Durham with partners: Durham County Council; The North Pennines AONB Partnership; Northumberland County Council; Northumberland Coast AONB; Northumberland Tourism; Northumberland National Park Authority.